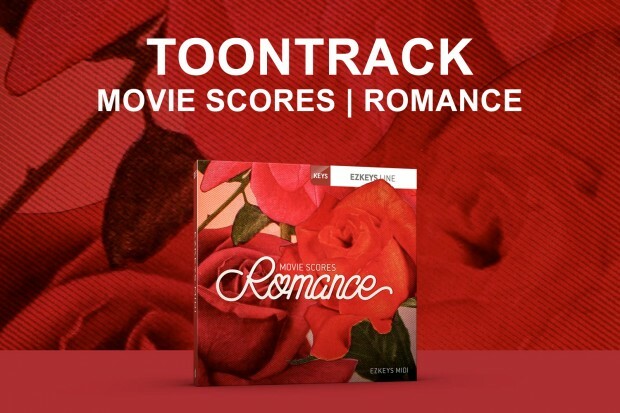 Toontrack have today released their new EZkeys MIDI pack, Movie Scores Romance. Inspired by movie soundtracks to get you in the mood… Available now for 20% offthrough October, only $20 at the DontCrack Store! Toontrack say this is for scores and more, and for your yet unwritten ballads or romantic soundtracks. This collection of EZkeys MIDI was inspired by a wide range of soundtracks used in films of the “romance” category. But in many ways, this EZkeys pack goes beyond the realm of scores or soundtracks and instead paints a richly detailed musical framework for anything that falls in the ballad or “romantic” niche. Just as it can be used by any writer of commercial tracks for TV or film, it works just as well for ideas for your yet unwritten ballads. Expect anything from dreamy to wide awake, happy to melancholic and dark to light – all with that unmistakable “movie-like” twist to it. This entry was posted in DontCrack, Misc, Promotions and tagged Ballad, EZKeys, Film, Keys, Love, MIDI, Movie, Movie Scores, Piano, Romance, Scores, Soundtracks, Tooontrack. Bookmark the permalink.